Union Motorcycle Classics work out of a remodeled 100 year old dairy barn in Idaho which they describe as “no longer home to lowing bovines, we now attend to the gentle rumblings of a slightly more untamed beast”. 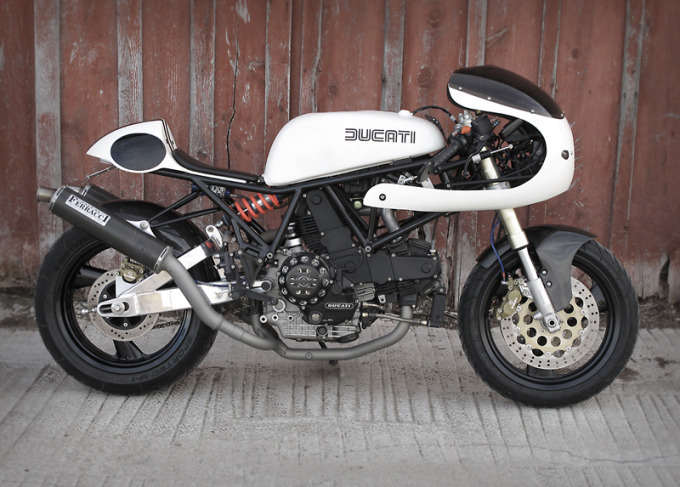 Formed by a group of guys who all had different skills but one passion… classic motorcycles. Luke is professionally trained motorcycle mechanic, Bret is the owner of Glass From The Past (GFTP) which manufacture killer looking cafe racer fairings, race seats, fenders and tanks. Mike, Jeff and Andy are all graphic designers who love nothing more than getting their hands greasy on a vintage classic.